ALL 2018 MODELS MUST GO! 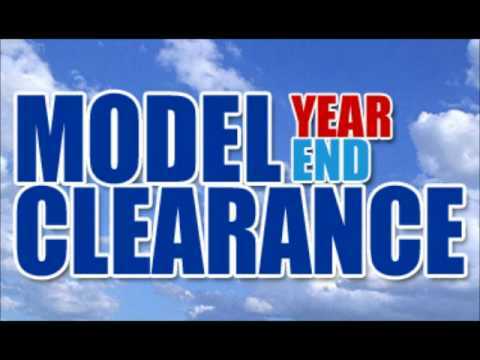 CLICK HERE FOR OUR CLEARANCE UNITS! Interested in renting an RV? Click here for more info! The Awesome and Affordable 2019 Winnebago Outlook! GREAT EXPERIENCE! I have never had good experiences buying and trading vehicles, but I recently traded my motorhome for a larger one at Wakley’s RV. I shopped at Wakley’s RV because I’d heard of their good reputation from friends who have done business with them and because of the reviews I’d read online. As a former Customer Service person, I can say that Wakley’s RV passed with flying colors! From the moment I met my salesman, Chris, it seemed that my satisfaction was his main goal. He, as well as every other person I spoke with at the dealership, was very easy to talk with and very accommodating. I was impressed with his hands-on approach with every step and his communication with every other person involved throughout the entire process of making the sale. I was made to feel very comfortable and very confident about my purchase. I couldn’t have asked for a better experience! NOW A PROUD MEMBER OF THE BETTER BUSINESS BUREAU! CLICK THE IMAGE TO CHECK OUT OUR REVIEWS ON GOOGLE! NEW FEATURE! CLICK ON THE ICON TO TEXT MESSAGE OUR TEAM! For 40 years, Ray Wakley’s RV Center has delivered quality service along with a wide selection of RVs, motorhomes, and trailers to the Erie, Pennsylvania, community and beyond. Our family-owned-and-operated dealership provides our customers with the RV that perfectly suits their needs. And the reliable professionals at our finance and service centers are always ready to lend a helping hand. Are you looking for RVs for sale in Erie, PA? Explore our inventory with a variety of new and used RVs to choose from. Our selection of motorhomes has options for every customer. The Fifth Wheels and Travel Trailers we offer will easily hitch to your compatible vehicle, making for the kind of convenient traveling you have to experience for yourself. Connect with the friendly staff at our finance center to learn about our RV purchase and RV rental options. And when your RV needs to be serviced or repaired, schedule an appointment with our parts and service center. For more information about the RVs we sell, contact us today. The Best Deals on our Lot! If you need financing, our finance department is constantly searching for the best deals, and will help you save even more money! Make sure to check out our RV Specials for the best deals in Pennsylvania. If you need help finding the RV that is the best fit for your family, simply Contact Us for additional information. Please note our business hours listed on the left, but know that we can be available at any other time you need us--just call for an appointment! Thank you for visiting Ray Wakley RV Online. We hope to make YOU our next 100% Satisfied Happy Camper! CHECK OUT OUR CO-OWNER CAROL WAKLEY FEATURED IN ONE OF THE NEWEST WINNEBAGO VIDEOS!